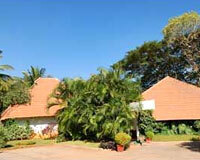 Windflower Resorts is just 2.5 kms from the downtown area. 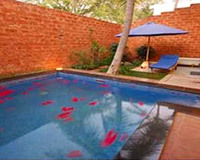 The Windflower Spa and Resorts is a luxury spa resort sprawled in 10 acres of gardens at the foot of Chamundi Hills. 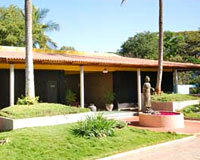 It boasts of wonderful architecture, soothing ambience and charming décor. 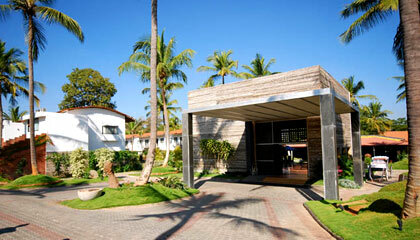 The resort offers the finest of new-world luxury and superlative facilities. 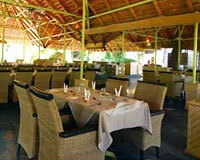 The special attraction of this resort is a spa cuisine restaurant that is dedicated to discerning fitness people. With a plethora of facilities, Windflower Spa and Resorts is the best address to stay and get spoiled in comforts, in Mysore. The resort offers a total of 39 luxurious rooms, categorized into Executive Rooms, Deluxe Rooms, Royal Residential Suites and Club Suites. 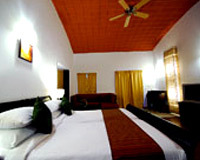 All the rooms are fully furnished with all the modern amenities. Olive Garden: A place to enjoy authentic Mughlai, Chinese, Continental & Thai food. Olive - The Lounge: A water-theme lounge bar to relax on exotic drinks & snacks. Vineyard: A cozy bar offering an amazing selection of drinks, wines and cocktails. 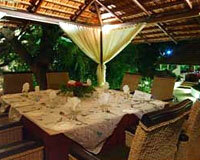 Spa Cuisine: A place for fitness freaks providing healthy food and Ayurvedic cuisine.